Why use Botox for migraine headaches? Botox injection is one of the preventive treatment for migraine headache and specifically is approved by FDA for chronic migraine ,injections can be done by a neurologist or a plastic surgeon who have experience in this field. Studies have shown that Botox for migraine headache is very effective. The discovery that Botox injections help the patient with migraine headaches started when patients reported reduction in the incidence of headaches and migraines after receiving Botox for cosmetic procedures. Botox for migraine headache probably is not effective in treating other types of headaches like cluster headache . How does Botox for migraine headache work? Although it is well known that Botox paralyzes theskeletal muscles , the exact mechanism of the action is not clear and it is the area of active investigation . Patients who are receiving Botox for migraine headache will be given the injections at an interval of 12 weeks. Botox for migraine headache is given as multiple injections in different areas around the head and the neck that will dull any future headache symptoms. We have seen in patients who are receiving Botox for migraine headaches that the effects last to as long as three months when the proper doses are given. To be effective, Botox for migraine headache has to be administered in specific doses. Each injection will cause very minor discomfort and most often will not require the use of anesthesia. Botox for migraine headache for our patients will be injected in key areas in the patient’s head and neck. 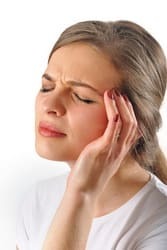 When Botox for migraine headache is injected as prescribed, most patients find that migraine episodes are reduced and the symptoms that accompany them are more manageable for patients. Does Botox for migraine headache have any side effects? If Botox injection is administered with proper technique and dose has very minimal side effects, local injection pain may last couple of days and responds to over the counter pain medication, in rare occasions upper eyelid droppiness which is temporary may happen.